Give Colleen Brown some Major Love! Edmonton’s Colleen Brown is making an album, and she’s doing it without the help of a big-time record company. I’ve seen enough movies to know this means she’ll be missing out on regular things, like, you know, renting big airplanes to fly in the triangle player first-class from Australia, catered seafood buffets where you just throw all the food out untouched, and using a recording studio that costs $1,000 minute because Peter Gabriel went there once. It’s true, people sometimes make albums without all that stuff, and this is the case with Colleen Brown’s new project. Instead of all that, she needs YOUR help. She’s trying to raise the money for the upcoming album, tentatively entitled Major Love, through an Indiegogo campaign. And unlike Amanda Palmer, who asked for $100,000 & received $1.2 million, she’s hoping for the quite reasonable sum of $15,000. Although this will barely cover reasonable expenses, and no triangle players, if you help out you’ll be eligible for all kinds of perks. Like the album, house concerts, or heck, she’ll even write a song for you. That’s a pretty sound investment. Head over to her campaign page and kickstart some Major Love! And hurry! There isn’t much time left! 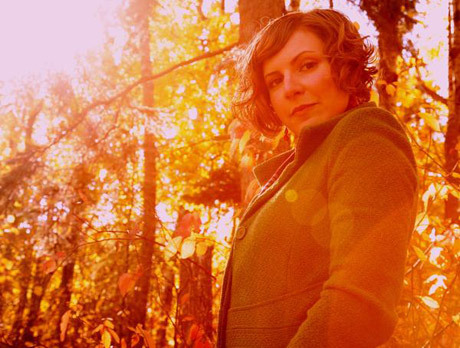 This entry was posted on 2013/01/30 at 13:53 and is filed under Edmonton Music Scene. You can subscribe via RSS 2.0 feed to this post's comments.